The Graduate College welcomes new faculty fellow Brian Horvitz, Associate Professor of Educational Technology in the College of Education and Human Development at WMU. Since 2015 Dr. Horvitz has served as Program Coordinator of the Educational Technology Program, which places him on the front lines of online education. He teaches technology for elementary education, introduction to educational technology, and creating online courses. His research interests include online teaching in higher education, the use of technology in teaching in higher education, and preparing pre-service teachers to integrate technology in learner-centered classrooms using a mixed-methods approach. With two articles in press for the Community College Journal of Research and Practice and a publication in Innovative Higher Education (2015), Dr. Horvitz is an active scholar. In 2015 he received a National Science Foundation grant along with Co-PIs Regina Garza Mitchell, Andrea Beach and Charles Henderson. The Online Technical Education in ATE-Funded Programs grant is synthesizing what has been learned about online technical education in 38 Advance Technical Education (ATE) projects and making connections to the broader literature about what is most effective in online technical education. With his strong background in teaching and research, Dr. Horvitz now adds a strong service component to his C.V. with his appointment as Faculty Fellow in the Graduate College for the 2017 academic year. He will work with Associate Dean Christine Byrd-Jacobs to improve the online orientation for incoming or prospective graduate students and assist with other online training offerings. Currently graduate students must share an online tutorial with incoming undergraduate transfer students. Since the needs of undergraduate and graduate students are radically different in many ways, developing and implementing a graduate-specific online orientation will greatly improve service to incoming students. Currently only incoming students who have been awarded a graduate assistantship participate in a day-long training that is offered in the fall semester. Funded students comprise about 20% of the total graduate student body, so a significant portion of graduate students are missing out on a comprehensive orientation. The vision for an online orientation is to provide to prospective and newly admitted graduate students helpful information on resources and services available at WMU in a convenient format. Online access means incoming graduate students can become familiar with Western Michigan University services to meet their needs at any time, during any semester or session. We anticipate that this will help new students feel more connected with the university as they begin their graduate programs. The Graduate College is proud to announce the addition of Dr. Julie Apker, Associate Professor in the School of Communication, to our team as a Graduate Faculty Fellow for 2014. 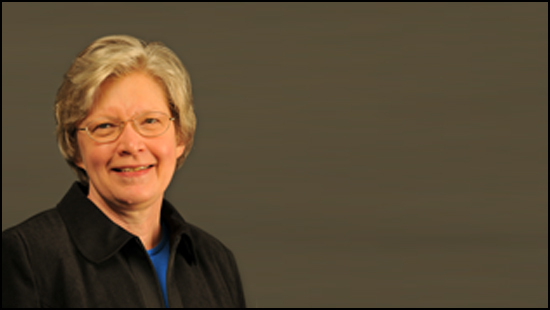 Dr. Apker joined the faculty of WMU in 2001 after receiving her M.A. and Ph.D. in Communication Studies at the University of Kansas. Her book, Communication in Health Organizations, explores the communication processes, issues, and concepts that comprise the organization of health care, focusing on the interactions that influence the lives of patients, health professionals, and other members of health institutions. Dr. Apker’s research work appears in publications such as Journal of Applied Communication Research, Health Communication, Qualitative Health Research, Journal of Nursing Administration, Nursing Economic$, Annals of Emergency Medicine, and Academic Emergency Medicine. She serves on the editorial board of Health Communication, a noteworthy journal that seeks to improve practical communication between caregivers and patients and between institutions and the public. Along with teaching undergraduate and graduate courses in Organizational Communication, Dr. Apker conducts research in organizational and health communication. She looks as physician communication patterns and strategies that affect patient safety and the development and negotiation of caregiver roles, particularly communicative behaviors that affect bedside care delivery and caregiver identity. She also investigates communicative and organizational stressors that contribute to outcomes such as quality of work life, job satisfaction, and retention for health care professionals. For that same audience, she examines supportive communication that can help minimize or prevent job-related stressors and enhance team dynamics. She uses qualitative research methods including focus groups, interviews, and observations. As a faculty fellow, Dr. Apker will focus on creating online training modules for new graduate students as well as graduate assistants who are doing research, service, or teaching. She will also facilitate the once-yearly face-to-face Graduate Assistant Training, usually held in Brown Hall at the beginning of fall semester. Her duties also include supporting the Graduate College Ambassadors as they interact with current and prospective students and serve on numerous committees. 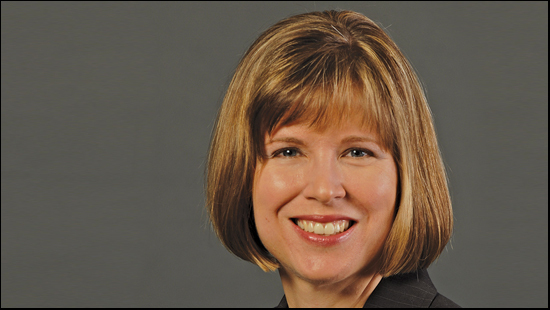 In addition to Julie Apker, Dr. Louann Bierlein-Palmer, Professor in Educational Leadership, will continue her duties as Graduate Faculty Fellow for the 2014 year. She has already made great progress in recruiting efforts through the creation of the “one-page” handouts from every department outlining key information on each graduate program. Dr. Bierlein-Palmer also helped redesign the Graduate College website and the Graduate College brochure. Please join us in welcoming these outstanding faculty members to the Graduate College team. The Graduate College is proud to announce the formation of the Graduate Student Ambassador Program, which has come to fruition with twelve Graduate Student Ambassadors for Fall 2012 and Spring 2013. The twelve students were selected from over 40 applicants. 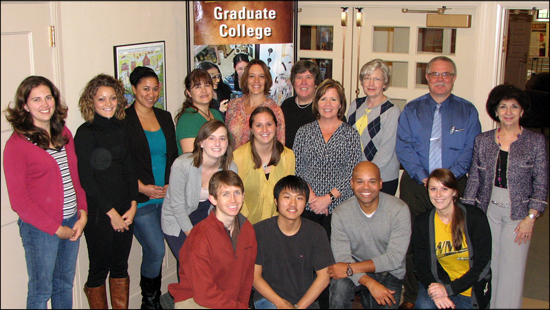 They will function as outreach ambassadors for the Graduate College and the Graduate Student Advisory Committee (GSAC). All the students who were chosen are expected to draw on their own experiences as graduate students to help prospective and current grad students at WMU. They are a highly motivated group of students, involved in many activities besides their school work, so they come to the job with a full understanding of the responsibilities and rewards of this leadership opportunity. There is at least one student representing each college at WMU and their role is complex. They are expected to represent Western Michigan University, GSAC, and the Graduate College as well as their college or area to current and prospective students. They meet bi-weekly for informal gatherings to share knowledge and ideas, but their formal role is demanding. 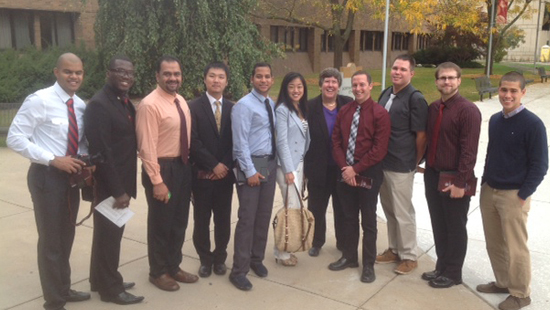 They attend recruiting events with Mr. Tony Dennis, Director of Graduate Student Recruitment and Retention. They hold office hours to meet with students from their colleges and/or programs who have questions about graduate study in general or more specific questions about issues they may be having. While sometimes students like to be able to have a student to talk to, which is the genesis of the program, the Graduate Ambassadors are trained to refer sensitive issues back to the Graduate College or to the appropriate unit. They give campus and community tours to prospective students and answer questions to the best of their ability, based on their training and personal experience, regarding admissions, registration, graduation, and theses and dissertations, as well as navigating departmental culture, planning their graduate careers, and balancing school, work and family. They are expected to attend all GSAC meetings. All twelve will be blogging for the Graduate College on The Grad Word, and keeping up with social media to promote the Graduate College and GSAC and to communicate with current and prospective graduate students. Each has also been assigned a university-wide committee to serve on as well. The Graduate Ambassadors for 2012-2013 are Ms. Jessica Bell, of the Occupational Therapy program in the College of Health and Human Services, and Ms. Stephanie Boltrick, an MSW student who will serve in the area of Veterans and Military Affairs. Mr. Robert Brown, MS in Accountancy, represents the Haworth College of Business; Ms. Ashley Butterfield, a Speech and Language Pathology MA student, will be serving in the College of Health and Human Services, and Mr. Ryan Clark, Ph.D. student in Mechanical Engineering represents the College of Engineering and Applied Sciences. Also serving as Ambassadors for 2012-2013 are Ms. Cindy Cross, M.A. student in Music Therapy, representing the College of Fine Arts and the Humanities in the College of Arts and Sciences and Ms. Kristin Everett, Ph.D. student in Evaluation, Measurement and Research, who will represent the College of Education and Human Development. Ms. Jamie Gomez, M.A. student in Anthropology, is serving as Ambassador in the College of Arts and Sciences in the area of social and behavioral sciences. Ms. Denisha Griffey, a Ph.D. student in Geosciences, will represent the College of Arts and Sciences in the area of mathematics and sciences. Finally, we have Ms. Josie Wells, M.A. in Public Administration, who will represent our off-campus and Extended University Programs, Mr. Benjamin Williams, an M.A. student in Family and Consumer Science representing the College of Education and Human Development, and Mr. Tiantian Zhang, Ph.D. student in Biological Sciences, who will serve international students and the Haenicke Institute for Global Education. The Graduate College is very proud to welcome these outstanding student representatives. They have all shown initiative in contacting deans, chairs, graduate directors, and staff members to introduce themselves, setting up their office hours, asking questions, and planning their bi-weekly informal meetings to get to know each other better and learn more about what the Graduate College and Western Michigan University have to offer prospective and current students. If you have any questions for the graduate ambassador who represents your college or area, please call Carson Leftwich at the Graduate College at (269) 387-8212 for contact information. Jennifer Wendling Holm is one of the last staff members graduate students meet in the final months before they graduate. As coordinator of theses and dissertations in the Graduate College, Jennifer is responsible for reviewing and clearing these culminating works, putting on formatting workshops to help students make sure these works meet WMU guidelines, and assisting students with scheduling and announcing their oral dissertation defenses. Jennifer revises and shepherds between 30 and 45 dissertations and 25 to 35 theses through the system each graduation period. It is a lot of reading and editing in a short period of time, so organization and time management are of the utmost importance surrounding graduation periods. She understands where the students are emotionally and academically at this final stage in the educational process and tries to make it as smooth as possible by being accessible to them, answering their questions, encouraging them and lending a sympathetic ear when needed. She finds it quite rewarding to see them through to the end. One of her goals is to make sure they leave the University on a high note, with scholarly theses and dissertations and a good feeling about WMU. In addition to reviewing theses and dissertations, Jennifer handles the graduate faculty nomination forms, committee forms, permission to elect forms, extend time to degree program forms and is the MIGS liaison officer for the University. She crafts the commencement copy for doctoral candidates, provides data regarding awards of doctoral and master’s candidates to University Relations and doctoral numbers and information to the Registrar’s Office. Jennifer earned a bachelor’s degree in English from WMU and was hired full time as assistant to the vice president of research in 2000. In OVPR, her duties consisted of finding funding opportunities for the School of Social Work and various other disciplines, creating reports for the VP of Research for Carnegie Classification, writing correspondence and editing documents for staff, assistant editor for the WMU Research Magazine and Web author. Jennifer moved to the Graduate College as assistant to the dean in 2003. She was named to her current post in January 2005. Prior to her employment at WMU, Jennifer enjoyed an assistant manager position at an independent bookseller, Bookbinder’s Bookstore and Café, near campus in Kalamazoo. She also spent a year traveling in Greensboro, North Carolina and Richland, Washington, visiting family and writing short stories. Jennifer takes pleasure in volunteering in the Kalamazoo area. She is a tutor for the Kalamazoo Literacy Council and will resume hosting a Senior Book Club at Wyndham West Retirement Community in winter 2013. She has been a student of yoga since 1996 and enjoys reading, writing, walking, hiking, kayaking and sailing. 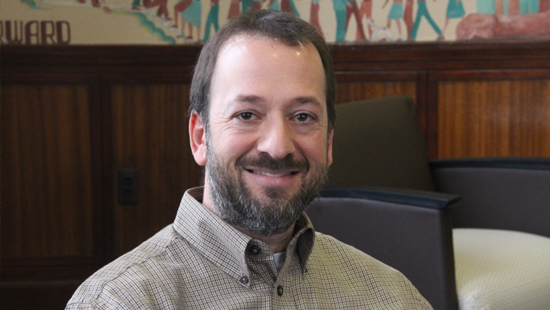 Tony’s career in higher education began in 1990 working as an admissions counselor at Kalamazoo College. 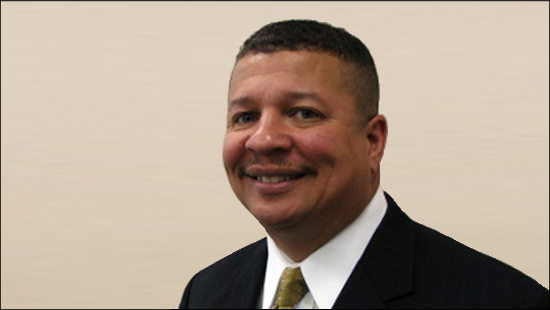 In 1993 he was hired as Assistant Director of Admissions and Orientation at Western Michigan University. In June of 1999 he was promoted to Director of Recruitment and Outreach Director/Student Services at Western Michigan University’s College of Aviation. Tony has recruited students throughout the United States and has played a significant role in recruiting some of the top underrepresented (minority) students in the country to attend WMU. Tony has a Bachelor of Science degree and holds a Master’s degree in Educational Leadership, both from WMU. Tony is Director of Recruitment and Retention in the Graduate College of WMU. His primary responsibility in the Graduate College is to direct graduate recruitment and retention programs throughout the university. He collaborates with department chairs, faculty, and graduate advisors to implement recruiting programs to increase the number of enrolled graduate students. In addition, he promotes WMU as a provider of graduate education to college seniors and recent graduates of undergraduate programs, and to non-traditional students with undergraduate degrees. He serves on many university committees, coordinates retention programs, and directs the Graduate Diversity Program.